Why Are Glass Showers Popular 2019? By Sandeep Haripuria , in Home Decor on January 8, 2019 . Shower enclosures in modern bathrooms have transformed how traditional bathrooms were being used. Mostly, traditional designs only consisted of a bathroom with a shower and sink. Most homeowners would use the bathroom to take a shower and do up or brush their teeth. In contemporary designs, you can do a myriad of things within the bathroom. Many homeowners have put more investments in the bathrooms pace and did not just view it as a place to take a shower and leave after your five minutes. Shower enclosures are installed in bathroom spaces to enhance the look of the room as it makes it more elegant and attractive. The incorporation of accessories is not enough in a bathroom. Without a shower enclosure, your bathroom will still have that traditional feel. Why Are Glass Showers Popular Today? You may still be wondering why you have to install a shower enclosure in your bathroom yet one can just install a shower without an enclosure. Well, it is a modern trend, and there are many reasons attached to it why you should have a shower enclosure within your bathroom. Since modern houses have new unique designs that make them stand out from the traditional designs, it is important to have a shower enclosure to complement the designs. Ideally, the shower enclosures make the bathroom more flashy and sleek. Of course, many homeowners want their bathrooms to have them a modern look. Which another way can you make it more attractive and appealing than having a shower enclosure? How difficult is it to clean bathrooms that have wooden or steel doors? I don’t know what your answer is but I can tell that it is tasking and hectic. With the glass shower enclosures, it is easy to clean the soap foams from the glass walls. The cleaner is only required to have a soft clot which they can use to wipe off the dirt. With this cleaning, molds that may be a health hazard may not form on the surface of the walls. Also, the glass shower enclosures do not have gaps between them which make them safer than the steel or the wooden shower doors. There is always the need to change the design or look of the bathroom. This requires the installation of additional facilities or accessories. With the glass shower enclosures, they are easily customized to suit to the needs of the homeowners. It is advisable that when installing the shower enclosures, the technicians should be careful to ensure they fix them in a way that they can be easily removed if customization is needed. When they are wrongly installed, they may be broken during customization which will be inconvenient for the homeowners due to the losses they would incur. How much space do you have in the bathroom? What type of shower enclosure can be accommodated within the bathroom? These are the essential question that the homeowner ought to consider. They are a baseline to deciding precisely the type of shower enclosure they would need for their bathroom. Having a technician or professional interior designers checking the available space is crucial. When there is no knowledge of the amount of space available within a bathroom, it would be difficult to identify the most suitable glass shower enclosure that can fit within your available bathroom space. Many types of doors are installed on shower glass enclosures. They may be sliding or hinged. The design of the glass doors for the shower enclosure is dependent on the space available and the needs of the homeowner. When there is not enough space within the bathroom, the sliding glass doors may be used. However, when space is sufficient, the hinged door that opens either clockwise or anticlockwise should be installed. It provides adequate space for the bathroom users to transition from the open space to the shower. There are circular and rectangular shower enclosures. The circular shower enclosures are considered to be trendy but are also expensive. The homeowner should consult with an interior designer or a contractor to identify the most suitable designs for their bathrooms. When installed, they should complement the bathroom interior décor and not conflict. 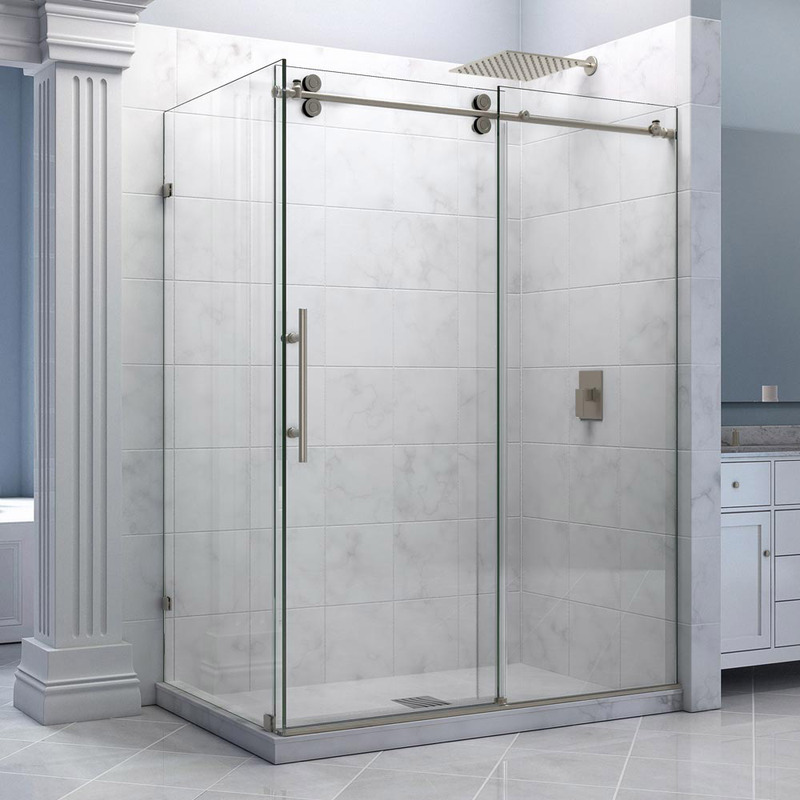 Next time you are thinking of having a Fab Glass and Mirror glass shower door in your bathroom, you should consider the above facts and factors about shower enclosures. They will save you a ton of problems in the future.